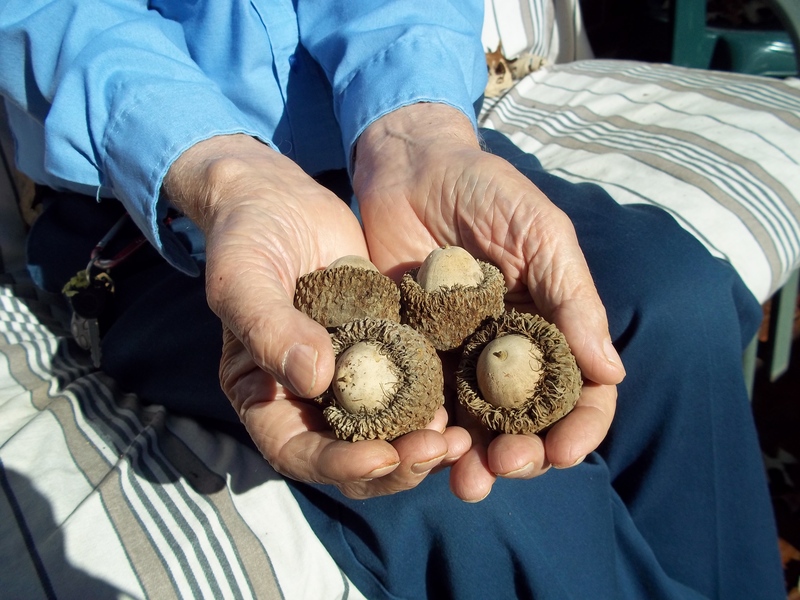 Unlike the acorns, yielding fruit every three years, the fruit of these seasoned hands remains forever. We give thanks to Creator God! It was supposed to say HUGE acorns. OOPs!